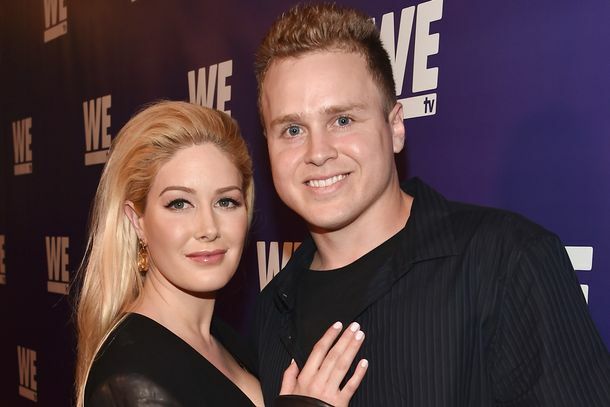 Heidi Montag Gave Birth Surrounded by $27,000 Worth of CrystalsShe and Spencer Pratt welcomed baby boy Gunner Stone on Sunday. Spencer Pratt Interviewed Alex Jones About Megyn Kelly on a Hawaiian BeachThe strangest of buddy comedies continues. Heidi Montag Is Stoked to Show Off Her Baby BumpHappy Mother’s Day, Speidi! Sleeping With … Spencer PrattHow the reality star and crystal aficionado does bedtime. Monuments Replace Celebrities As Plastic-Surgery InspirationWould you rather have a nose like the Eiffel Tower or Kate Middleton? Three 6 Mafia Warns L.A. That Lemon Basket May ReturnDJ Paul blames the parking, not the cockroaches, for the restaurant’s cancellation. Rejoice! Lemon Basket Gets Cancelled in West HollywoodThe only surprise is that it lasted five months. Focusing on What’s ImportantHeidi Montag on her new reality show. Scallop Firm Heads to China; Heidi Montag’s Food Show Gets BurnedPlus a crusty sandwich collection and more, all in our morning news round-up. It’s ‘Battle Bovine’ in Upper Darby; Chili’s InstallsPlus: Campbell’s Soup confirms its first female president and CEO; and the G-20 summit focuses on stabilizing food costs, all in our morning news roundup. Upper Crust to Pay Back Wages; Heidi Montag’s Food Show Co-Stars AnnouncedPlus a day with Alice Waters and more, all in our morning news round-up. Inevitably, A Dolce Group Restaurant Becomes A Reality TV ShowThe Lemon basket serves farm-to-table cuisine with a huge side of reality TV stars trying to run the place. Andy Cohen Called Heidi Montag ‘Trash’ and Said He’d ‘Rather Stab Knives’ Into His Eyes Than Have Her on BravoThat’s another thing that happened today. Oh Good: Heidi Montag Has a New Single, ‘Bad Boy’Carry on, nothing to see here. John Legend Can’t Get Off His BlackBerry, Even During a Lap DanceStars: They’re just like us! Either Heidi Montag Is Still Fame-Hungry, or She Is Actually Being Blackmailed by Her Crazed Ex-HusbandOr both. Diddy’s Tracks Worth More Than AssPlus: Weird Al almost finished with next masterpiece.